Custom designed COMMEMORATIVE MEDALLION logo ends!!! Made of cast-metal, these are one of a kind custom designed commemorative medallions. All seats and cast-iron arms/legs were in Shea Stadium. Medallions were made after the stadium was demo'd. LIMITED SUPPLY - ONCE THEY ARE GONE, THEY'RE GONE! 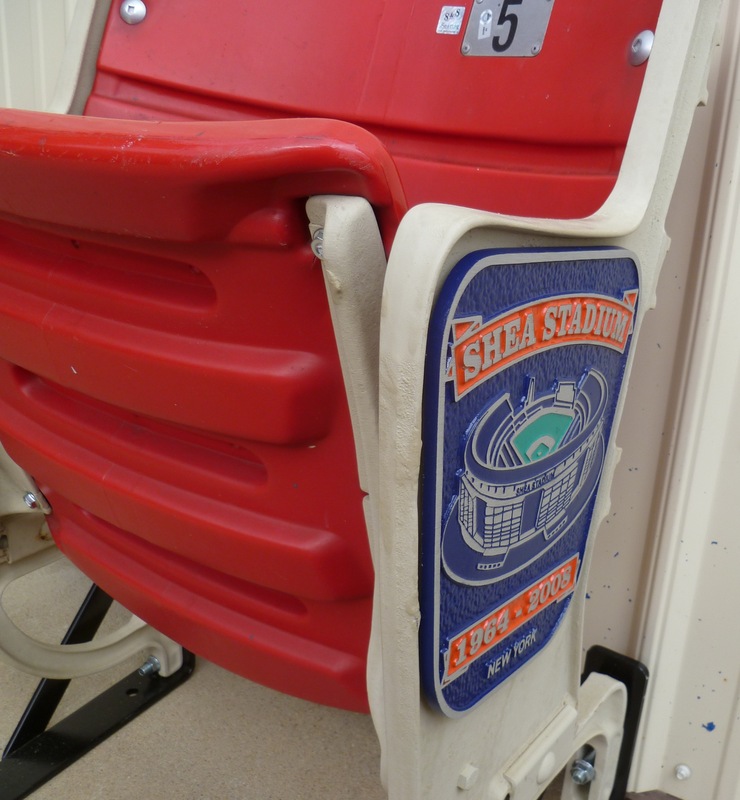 Perfect gift for the Mets fan who has everything...get them a seat from every level in Shea Stadium! Seats are on refurbished riser-mount standards and include steel floor-mount brackets to enable free standing. 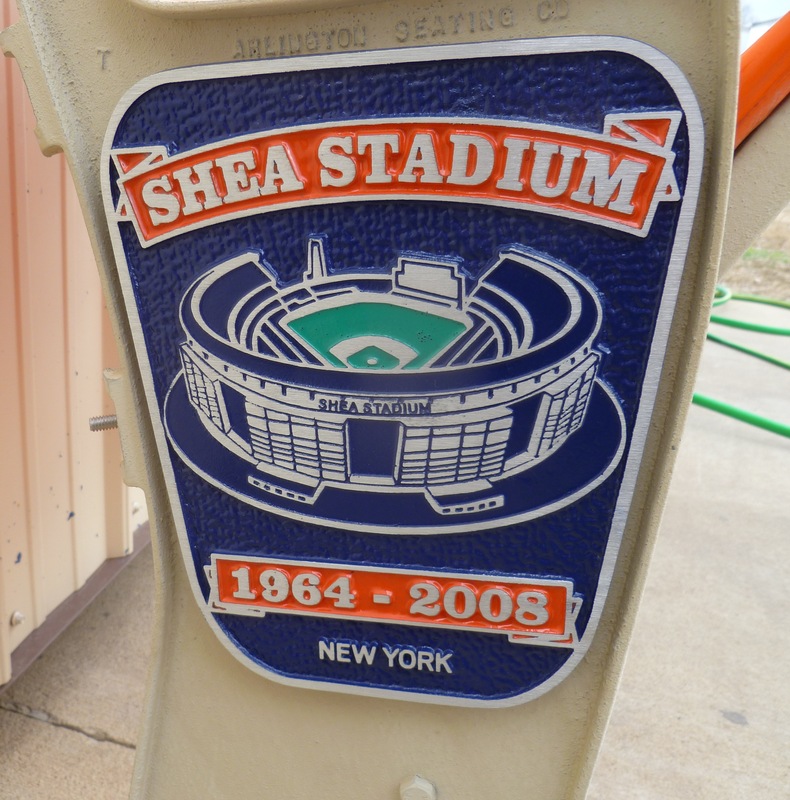 Own a piece of history from SHEA STADIUM! All of our collectible memorabilia is guaranteed authentic game used and come with a certificate of authenticity from S&S Seating. 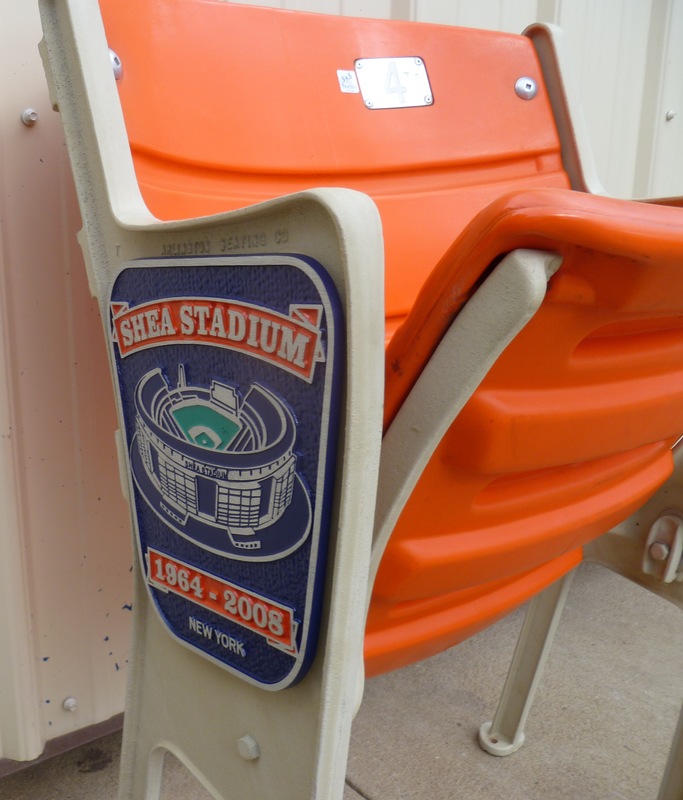 These seats were carefully removed from Shea Stadium in 2008 by S&S Seating and have been warehoused for protection until shipped. Seats are refurbished, meaning the original paint has been removed from the metal arms/legs and they have been repainted in 2008, per the NY Mets & NYC contract when we removed them from the stadium. The cast-iron standards does have some rust on them. Please note our return policy prior to placing your order. The seats you buy will be similar to the pictures above, but will not be the exact seats. All seats are in working order. Riser-mount seats (Red, Green, Blue) include steel brackets to enable the seats to be free-standing. Citi Commercial Featuring Shea Stadium Seats!